Fire is a likely consequence of DIY electrical or gas fitting. Voiding insurance coverage is the risk you take every time you decide you can undertake your own plumbing, gas fitting or electrical repairs or installation. Sure the rules and regulations differ slightly between each state in Australia but essentially there are no grey areas in the laws in each state because its completely black and white legally that when it comes to working on the plumbing, gas or electrical systems in your home or business you must be licensed. Here at Whywait Plumbing every week we deal with the consequences of the weekend warriors who go to Bunnings or Masters and are convinced they can do it themselves after getting advice from a shop assistant. Usually the consequences are that we have to rip everything out and start again. Everyone in the plumbing industry be it plumbers, manufacturers or council inspectors do not need convincing that DIY plumbing is no good for anyone and most of all it is ultimately no good for the general public. Unless you have a licence you are not insured to undertake plumbing, gas or electrical work. What they don’t tell you at Bunnings or Masters when selling you all the plumbing pipes and fittings is that it is illegal to undertake you own plumbing. Certainly they do not inform you that DIY plumbing, gas or electrical work will most likely void your home insurance policy in the event of a insurance claim. These plumbing tasks listed are all you can do without running the risk of voiding your insurance cover. More importantly there are no gas fitting or electrical tasks you can legally undertake that will not void your insurance cover. Listed below are links and warnings from Queensland Government and Allianz Insurance. Using licensed plumbers and drainers is the simplest and most effective way of ensuring that plumbing work complies with regulations to minimise unnecessary risk to your family’s health and safety. Rectifying defective or non-compliant work can be far more expensive than the original cost. As a consumer, using an appropriately qualified plumber or drainer will help to protect you and your family as well as your bank account. Illegal DIY work can put you at risk of extra costs, injury or death. Leave electrical or plumbing work to qualified professionals. Some of us enjoy a spot of weekend DIY. Others are less enthusiastic but do the fix-ups anyway. And while there are many benefits of doing-it-yourself such as saving on labour costsi, there are safety and legal reasons why the majority of plumbing and electrical tasks need to be left to the professionals. DIY jobs can put you and other people at risk of injury or death. And if you don’t get something done right, you could end up putting people at risk and damaging property in the future. We recommend that you should avoid DIY plumbing, gas or electrical as frequently you end up costing yourself more with the problems never being repaired. A plumbing inspection by the council is not a guarantee and never have been, they are a compliance audit – nothing more, nothing less. I can only repeat to Kelly what many of us know and see everyday in new or recently renovated buildings – “everyone who worked on your home did so because they were the cheapest not because they were the best qualified and skilled to undertake the work.” Sadly that has become the reality in the construction industry. The pressure by builders on plumbers to reduce prices and take “SHORT CUTS” increases daily as I have stated previously and in fairness is frequently driven by the client demanding a cheaper price looking for the “BEST DEAL”. In respect to Kelly’s comment about the Gold Coast plumbing inspectors, I understand the remark as there is a common urban myth that once your home or building has had a final inspection that it has been certified by the council and that the plumbing is perfect and that they are guaranteeing it. (c) the Local Government Act 2009. A compliance certificate from the plumbing inspectors are not a guarantee in any way shape or form and should not be construed as such. Unfortunately and sadly but these days it is ultimately up to you to make sure that you are getting high standard, quality work by ensuring you are dealing with reputable, experienced licensed contractors who perform work to the standards set out in the Plumbing Code of Australia. Always ask to see the plumber’s contractors license and always ensure for insurance purposes you get a copy of either the council compliance certificate or the QBCC form 4 compliance certificate depending upon the work you have had undertaken. Not Compliant? It’ll Be Expensive! Plumbing is expensive if not done correctly and compliantly. Quality plumbing is not a luxury but is a legal requirement under the Plumbing and Drainage Act 2002. However if you have come to the conclusion that your home is your biggest investment and you want to maintain your home to peak value then please phone Whywait Plumbing provided you want the work undertaken legally and compliantly with Australian WaterMark approved materials and highly skilled licensed plumbers who guarantee their work. Please don’t phone us and ask for free quotes or free advice over the phone as no professional plumber can give you a price over the phone without an on-site diagnosis. Believe me, every plumbing installation is a one-off no matter how similar they appear. Just remember if you use the cheap meeting the standard market price plumber ask to visually to see their plumbing license and their contractor’s license as they are required to carry them with them by law. In the end, these licenses are put in place by the Queensland Government for your protection, not for the plumber’s protection. If you want cheap plumbing or free plumbing estimates or discount to meet the market pricing please do both of us a favour and save each others time by calling someone else. The average Gold Coast water bill continues to increase. Did you know another water bill will arrive soon, in October despite the fact you have not yet received your 6 monthly water account for the first half of 2014. Due to legislative changes as from 1 July 2014, your water account will be issued quarterly, usually in July, October, January and April of each year. 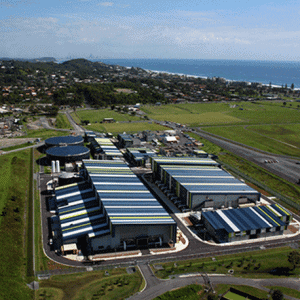 Tugun Desalination Plant that was constructed entirely from borrowed money that we repay for now in our water bills even though it only operates in “hot standby” mode when there is a critical supply emergency. The rationale behind this law change is that quarterly bills will assist in monitoring your water usage plus the bills will not be as large as they have been previously when bills only came out every 6 months. 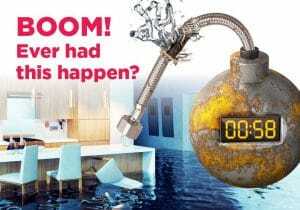 For most clients of Whywait Plumbing that means you will be getting another bill from Gold Coast Water or Logan Water in October, albeit only about half of the one you will receive for the first 6 months of 2014. Many of us remember when water was essentially free and the only time you got charged for it was if you used excess water over and above the very generous allowance that was paid for as part of your council rates. However, cheap water is the past thanks to poorly costed projects such as the construction of the water grid and the Tugun desalination plant. The reality of today is that water is expensive. The only guarantee anyone can give you on the cost of water is that it will continually increase every year. For Gold Coast and Logan residential property owners who use the average water consumption of 250k/L annually your yearly bill on the Gold Coast will be $1887.20 compared to Logan of $1939.60 which is a slight difference of $52.40. Ultimately we all have to be vigilant in ensuring that the integrity of our household water reticulation pipes is maintained at all times because a small water leak left to flow can add up to thousands of dollars in a very short time. This is why Whywait recommend every home should have water leak monitoring installed.